Born and Raised Just an old Arkansas country boy, takin in the sites one state at a time. Some call it a paid tourist lol. Does tater379 belong in this group? I love Arkansas I was born 'n raised here in Arkansas, and love my state! Does super7evins belong in this group? 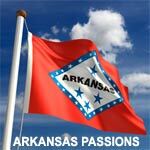 Love my home state #WPS Just looking for like minded people to become acquainted with. Does moose29 belong in this group? i have a 2 year old little girl. i love life kinda a geek but you wouldn't know it. Does godfatheromega belong in this group? Does baswid belong in this group? I live here! I love the Razorbacks and Red Wolves! I was born and raised in the Natural State! Does captaingoode belong in this group? Does pamelag1965 belong in this group?